Individuals with profiles on social networking websites have greater risk taking attitudes than those who do not. Greater risk taking attitudes exist among men than women. Facebook has a greater sense of trust than MySpace. General privacy concerns and identity information disclosure concerns are of greater concern to women than men. A new University of Georgia study suggests that online social networking sites such as Facebook might be useful tools for detecting whether someone is a narcissist. The researchers, whose results appear in the October issue of the journal Personality and Social Psychology Bulletin, gave personality questionnaires to nearly 130 Facebook users, analyzed the content of the pages and had untrained strangers view the pages and rate their impression of the owner’s narcissism. The researchers found that the number of Facebook friends and wallposts that individuals have on their profile pages correlates with narcissism. The other results are from a study were they compared college students whether one’s sense of risk taking is related to use of social networking websites. They also analyzed differences between men and women. They also compared two popular social networking websites: Facebook and MySpace regarding trust from it’s users.Lastly, they also compared men and women with regard to a number of behaviors relevant to privacy concerns that are done on social networking websites. We have to learn these young adults how to protect their privacy and the risks by disclosing their address and telephone numbers. Especially since this research shows that those young adults disclosing all this information are greater risk takers. They are prone to ill judgment. Or to phrase Sgt. 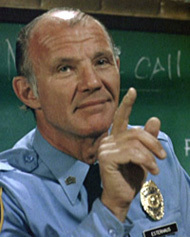 Phil Esterhaus from Hill Street Blues: Let’s…..Be Careful Out There. Based upon our results, we recommend that health care professionals, psychologists, communication professionals, and consumer advocacy groups advocate that sponsoring companies of social networking websites mention that risk taking behavior and privacy concerns are potentially relevant and important concerns at the sign-up period before individuals are allowed to create a social networking profile. What Do Med Students Think About the Dangers of Facebook? Previous Grand Rounds 5:1 – In Your Own Words	Next How Much Chocolate is good for your Health? The bit about narcissism in the Physorg reported work is just plain b*ll*x, unless they think that promoting the information one wishes to share on Facebook is narcissism. Many of the people on there are savvy of SEO and marketing techniques and exploit them to boost their readership in the hope of making new sales or getting new subscribers to their blogs etc. That’s not narcissism that’s advertising. Are you sure? Every serious SEO would use LinkedLN, wouldn’t he or she? They’d use Li for making “proper” contacts, but Facebook I can see as being broad enough to pull in a few extra punters. Anyway, I wasn’t thinking of it in terms of professional SEOs but in terms of people applying SEO techniques for raising brand awareness. No one would call Ronald McDonald narcissistic, it’s just marketing. Last year one of my city’s major new stations did a story where they tracked down individuals homes, and were able to tell the person, tons of personal information; enough to steal their identities. The reporter told the person he could tell when the individual was at work, where they worked, when they were away from home and their houses empty etc., just by info the individual posted on facebook. Pretty scary. The Dangers of Facebook or Let’s Be Careful Out There « Wat zeggen de weblogs over (acute)zorg.